I think it was in 1975 that I walked with the Vidyadhara as he dowsed the land at Karme Choling to find a source of water. The local well diggers had been unsuccessful. He found three possible well sites, all of which turned out to be productive, though one ran out very quickly. I think the two others are still providing the water at KCL. 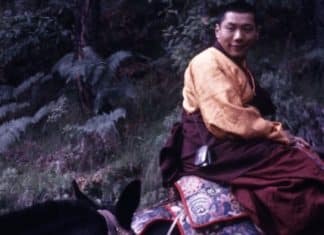 Once that was accomplished, Rinpoche gave me a dowsing lesson, and it seemed to me that I actually felt the water through my feet as I walked down the path. Just as important, he said, as whether the dowsing stick moved; that it wasn’t even necessary to use a dowsing stick. He also said that you could dowse for anything in the same way; you just had to tune your mind to the object of desire. Then Rinpoche pointed out a spot close to one of the well sites, and said, “This is a naga place. It would be good to make an offering to the nagas every month.” I asked what we should offer and he said, “Milk and honey.” I asked when the offering should be made. He said, “On the new or full moon. It doesn’t really matter.” I decided on the new moon. That became one of the responsibilities of the Retreats Department for many years. Rinpoche never mentioned doing an offering chant, and so we didn’t. The spot Rinpoche pointed out was a large, impressive rock formation with trees growing out of it. The small animals — rabbits, raccoons, cats — liked to spend time on the rocks. The small cabin where I lived was quite close, and I would see them there. When Rinpoche’s instructions became widely known at KCL, some people wanted to change the offering day to one of the “official” naga days. I consulted with Larry Mermelstein, and we agreed that it was more important to do exactly what Rinpoche had said. And so we did. With complete devotion and gratitude, Olive Colón. Olive was an early and devoted student of Trungpa Rinpoche, and a well-loved member of the sangha. 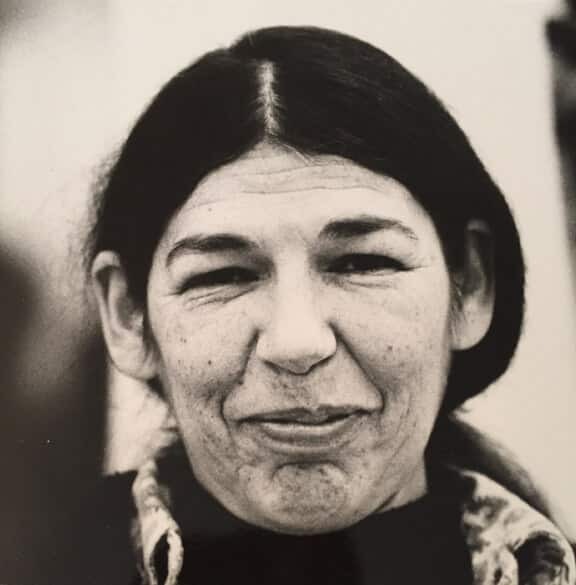 She lived most of her adult live at Karme Choling, where she was a retreat master and an ardent retreatant. She was also a prolific poet. Her book: Poems & Visions: The Mind of a Retreatant is available from Nalanda Translation. Olive passed away on June 13, 2016.